Cybersecurity is one of the hottest jobs of the future but there is a lack of skilled workers to meet this demand. Moderator Ron Insana leads WorkingNation's Town Hall conversation with cybersecurity experts as they discuss solutions for training this workforce. They work in windowless bunkers in front of walls of monitors. Constantly tracking attacks with military precision, outmanned as they fight a 21st-century war. Whenever we hear about the latest website hack, the effects can be felt from the boardroom to the consumer who innocently clicks on an infected website. With losses accounting in the trillions of dollars and a tight labor market, that is good news for job seekers with cybersecurity skills. Millions of cybersecurity professionals will be needed, yet they cannot be trained and hired fast enough, making this a job of the future. A great crowd joined WorkingNation at the campus of Cornell Tech on Roosevelt Island in New York City for our Town Hall event focusing on the talent gap in cybersecurity, an issue that will define the future of Computer Science and Information Technology careers. “Cracking the Code: A Town Hall on Bridging the Cybersecurity Skills Gap” was an in-depth discussion with leading experts on the topic of cybercrime and how to develop a skilled workforce to confront the scale of this global problem. Moderated by CNBC and MSNBC contributor Ron Insana and featuring panelists representing the corporate, education and government sectors, our Town Hall brought together stakeholders with an active interest in matching workers to cybersecurity and related IT roles. There are an estimated 40,000 information security jobs which go unfilled each year and the employment gap for cybersecurity professionals is predicted to reach 2 million by 2019. According to the IT governance nonprofit organization ISACA, that number is projected to grow to 3.5 million by 2021. In what can seem like a one-sided battle against the rising threat of hackers and rogue states, higher education institutions are recognizing the need to create and adapt their curriculum to attract and train new talent. Companies have been slower to adjust to the speed of technological change and the majority of them lack a plan to address skills gaps within their organizations let alone cybersecurity. Our Town Hall panel talked about the strategies and best practices of organizations which are staying ahead of cybersecurity trends and shared this insight with the audience. The event was held in honor of the brilliant Danny Lewin, co-founder of Akamai Technologies and a former student at the Technion-Israel Institute of Technology. 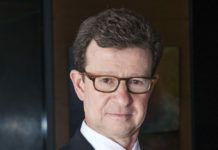 Lewin, a close colleague of WorkingNation founder Art Bilger, was murdered aboard American Airlines Flight 11 during the Sept. 11 terrorist attacks. WHEN: June 26, 2018, at 5 p.m.
WATCH LIVE: The event was streamed live on WorkingNation’s website, YouTube channel and Facebook page. In 2011, Cornell University and the Technion-Israel Institute of Technology won the City of New York‘s competition to create an Applied Sciences graduate school. 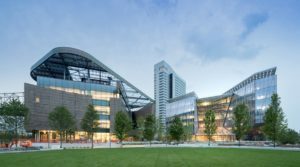 The Jacobs Technion-Cornell Institute embodies the academic partnership between the Technion and Cornell University on the Cornell Tech campus. 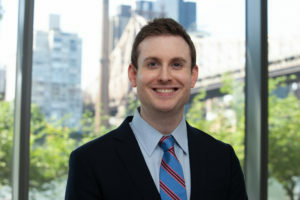 The Jacobs Institute degree programs —Health Tech and Connective Media— focus on impacting specific NYC industries instead of traditional disciplines. In addition, recent PhD graduates are building companies at the Jacobs Institute through the Jacobs Runway Startup Postdoctoral program, where postdocs transform their research into new companies and products. For more information, visit tech.cornell.edu. 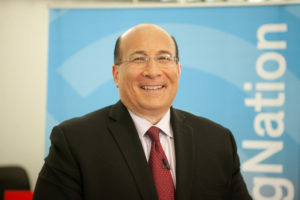 Ron Insana is a contributor to CNBC and MSNBC, where he discusses the most pressing economic and market issues of the day. He also delivers The Market Scoreboard Report to radio stations around the country. He has written for Money magazine and USA Today and has hosted two nationally syndicated radio programs. 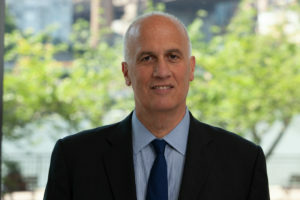 For nearly three decades, Insana has been a highly respected business journalist and money manager, who began his career at the Financial News Network in 1984 and joined CNBC when FNN and CNBC merged in 1991. Insana is well-known for his high-profile interviews, which included Presidents Clinton and Bush; billionaire investors Warren Buffett, George Soros and Julian Robertson, among others: captains of industry from Bill Gates to Jack Welch and to the late Steve Jobs, top economists, analysts and global heads of state, from former Soviet leader, Mikhail Gorbachev, to Jordan’s Queen Rania. Insana was named one of the “Top 100 Business News Journalists of the 20th Century” and was nominated for a news and documentary Emmy for his role in NBC’s coverage of 9/11. Ron is the editor of “Insana’s Market Intelligence,” a subscription-based newsletter. He has authored four books on Wall Street and is a highly regarded lecturer on domestic and global economics, financial markets and economic policy issues. Juels was previously chief scientist at RSA, the security division of Dell EMC. 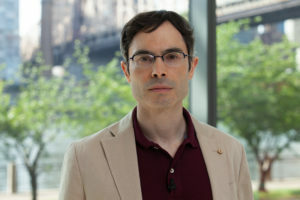 His interests span a broad range of topics in computer security, cryptography and privacy, including cloud security, financial cryptography, cybersecurity, user authentication, medical-device security, biometrics and security and privacy for the Internet of Things (IoT). Markow leads Burning Glass Technologies‘ research into emerging job market trends, skill gaps and workforce development opportunities. Will’s research with Burning Glass is routinely featured in national media outlets and he has led dozens of custom research projects for educational institutions, workforce development organizations, Fortune 500 companies and government agencies. Per Scholas was founded more than 20 years ago with a mission to open doors to transformative technology careers for individuals from often overlooked communities. 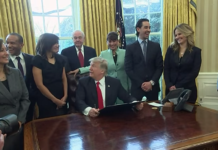 Gray has spent her career connecting underserved communities to training and employment opportunities through her work for Per Scholas and, previously, Career Team and Year Up. In this leadership role, Gould oversees the innovative development and delivery of a groundbreaking model providing accelerated undergraduate programs for adult women online and across campus sites in Massachusetts. 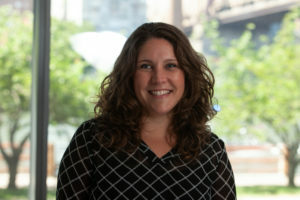 Gould has a passion for implementing technology and data-driven approaches in both the operational and learning arenas of higher education to help impact student success. 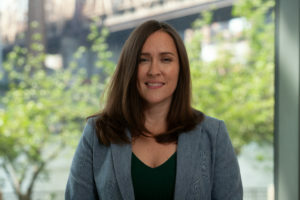 Lalla works with the New York City Economic Development Corporation (NYCEDC), which is launching Cyber NYC, a series of public-private partnerships to encourage cybersecurity startups and focus on developing a tech workforce. Isikoff is a security executive for RenaissanceRe, a leading provider of catastrophe reinsurance, with more than two decades of experience in insurance, finance, media, telecom and tech industries. Ellis is responsible for overseeing the security architecture and compliance of Akamai Technologies’ massive, globally distributed network. 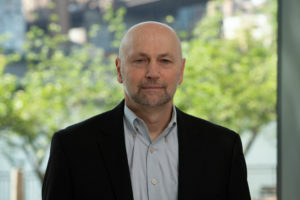 He is the designer and patent holder of Akamai’s SSL acceleration network, as well as several of the critical technologies underpinning the company’s Cloud Security Solutions. Santamaria is responsible for leading, directing, planning and managing all activities relating to PSEG’s information technology needs and for ensuring innovative, reliable, timely, cost-effective and secure delivery of information technology to all areas of PSEG. 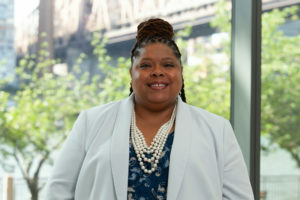 Johnson is a recent graduate of The American Women’s College at Bay Path University where she earned her Cybersecurity Bachelor of Science degree. 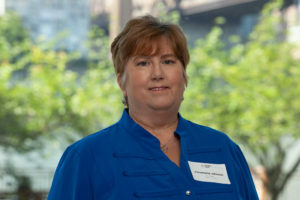 She has broadened her career through the program to incorporate cybersecurity training to her work in Information Technology. 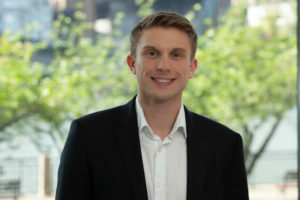 Kunow was the Head of Information Risk Management from March 2015 until his promotion at Barclays in October 2017. 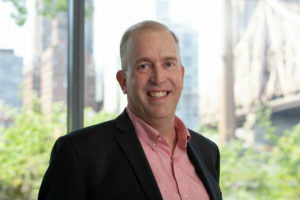 He holds a Masters degree in Computer Science and has over 30 years experience in both infrastructure and applications development in the financial services industry. Barclays partners with Per Scholas to create a pipeline of high-quality, diverse talent for much-needed IT professionals. Bosco oversees the information technology function of the largest integrated healthcare network in New York State – and one of the largest in the nation. 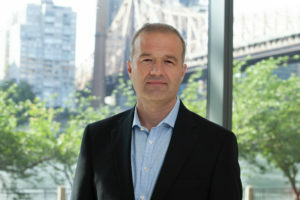 In his current role, he is responsible for aligning Northwell technology deployment and business strategies; overseeing technology purchases; facilitating communication to effectively plan, budget and implement technology solutions; establishing IT policies, standards, and procedures; ensuring security, privacy and regulatory compliance of all technology systems; and providing leadership to the IT team. 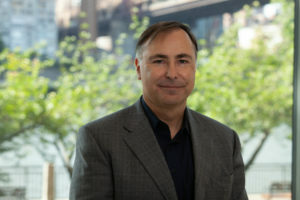 Bosco joined Northwell in 2004 as vice president and chief technology officer, responsible for developing the strategic plan for technology throughout the health system and overseeing the daily operations of the IT department. Heim joined ClearSky as an Operating Partner and Chief Information Security Officer. He is a senior security executive with over two decades working in security spanning Fortune 500 enterprises, cloud providers as well as early stage security technology companies. Heim currently serves as a director for Preempt Security, Solebit Labs, BigID, and Ticto. He also advises a number of startup companies in the security space. Take the F train to the Roosevelt Island stop. Walk south .3 miles on W. Loop Road. Catch the Tram at 59th street and 2nd Avenue. The campus is just south of the Queensboro bridge station. Access Roosevelt Island by car via the Roosevelt Island Bridge from 36th Street in Queens, then drive south down Main Street. “Cracking the Code: A Town Hall on Bridging the Cybersecurity Skills Gap” will be WorkingNation’s fourth Town Hall event. This series brings together local leaders, educators, businesses and workforce development organizations for solutions-driven conversations. “Re-Skilling the Mid-Career Workforce,” held in conjunction with the John J. Heldrich Center for Workforce Development at Rutgers University, was about the importance of training programs helping older individuals and the long-term unemployed to re-enter the workforce. 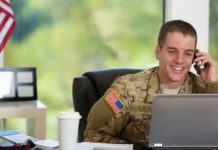 “Keeping America’s Promise,” produced in partnership with the syndicated television show Hiring America and filmed at the George W. Bush Presidential Center, was aimed at assisting veterans’ transition to the civilian workforce. “Shaping the Future of Work,” was held at the Dreamline Aviation hangar at Van Nuys Airport with YPO Los Angeles and focused on the workforce shortage in the aviation and aerospace industries. You can view all of our Town Hall discussions on the WorkingNation YouTube channel.